iPad Air 3: step-by-step guide on how to play DVD movie on iPad Air 3 with MP4, MOV, M4V formats. Apple new iPad Air 3 is coming soon. The hottest iPad Air 3 rumor is that it may have a 9.7 inch 4K display with a screen resolution of 2334 x 3112. If the rumor is true, the new iPad Air 3 will be the first 4K resolution iPad with extremely sharp screen. Better still, iPad Air 3 may have 4 speakers providing a better surrounding sound when watching movies. Wonder how to play DVD on iPad Air 3 4K screen? 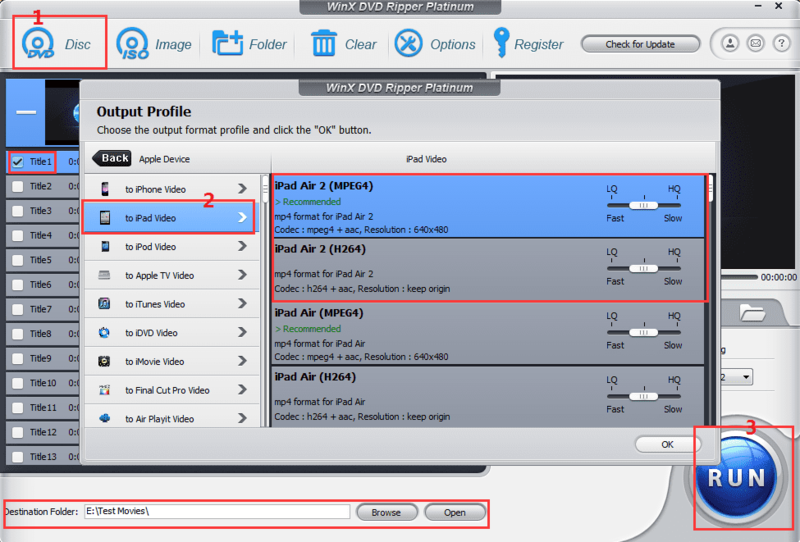 This tutorial provides you detailed guide on how to easily put DVD movie on iPad Air 3 for playback with no limits with the fastest DVD to iPad Air 3 ripper. Ripping DVD to iPad Air 3, as the best way to watch full movies on the new iPad Air 3, can be easily achieved with WinX DVD Ripper Platinum. 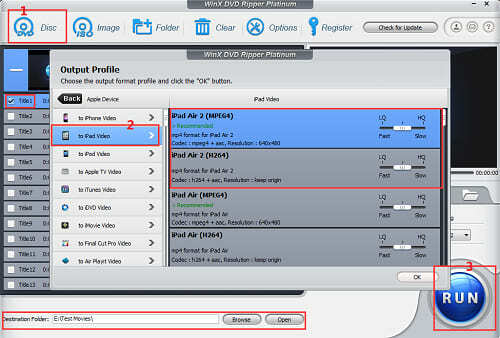 It enables you to smoothly convert any DVD movie to iPad Air 3 compatible video formats as MP4, MOV, M4V, etc. with original quality at fastest speed thanks to its High Quality Engine and multi-core CPU. Its other merits include: it supports all DVD encryption technologies like DVD CSS, region code, RCE, Sony ArccOS, UOPs, Disney X-project DRM, etc. which means you can use it to rip any copy-protected DVD to iPad Air 3/2, iPad Pro/Mini 4, iPhone 7/6S/6 and 350+ output profiles. 4 DVD copy modes are also provided, like 1:1 copy DVD to ISO image/Folder and copy DVD full title to a single MPEG2 file within 5 minutes. Free download, install and open this professional DVD to iPad Air 3 ripper on your Windows (10) computer or Mac at first. First, insert the source DVD disc into the DVD-ROM. Then, click the "DVD Disc" button on the top-left of the DVD ripper program. The DVD movie will be auto loaded and analyzed in few seconds. Besides, this smart DVD ripping tool can auto detect the right main movie title for you. Next, choose the output profile for iPad Air 3 in the Output Profile window and click "OK". Click as: Device Profile --> Apple Device --> to iPad video --> iPad Air 2/3 (iPad Air 3 device profiles will be supported soon after it's released), or, Common Video/Music Profile --> Mac General Video --> MP4/MOV/M4V. At last, click "Browse" button to set a destination folder to save the ripped DVD movie video for iPad Air 3, and hit "RUN" to start ripping DVD to iPad Air 3. After converting DVD movie to iPad Air 3, you can copy the ripped DVD movie to iPad Air 3 or simply use iTunes to sync the DVD movie video to iPad Air 3. 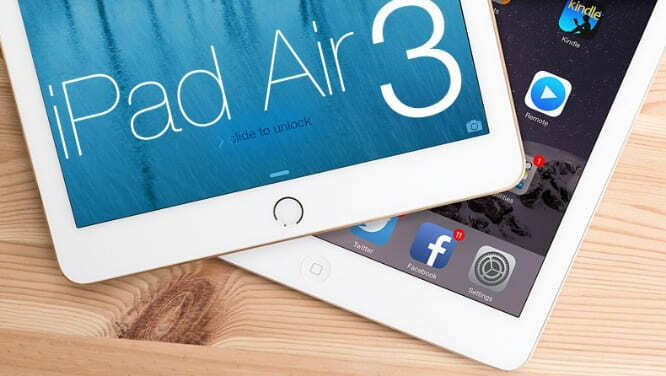 Therefore, you can play and watch any favorite DVD movie on new iPad Air 3 with crisp quality anytime and anywhere you want, without troubling to bring a pile of DVD discs with you. Note: before ripping DVD to iPad Air 3, please first consult DVD copyright laws in your country carefully. Best fastest DVD to iPad Air 3 ripper enables you to rip and watch any copy-protected DVD movie on iPad Air 3 with ease. Take this handy tool to fast rip any DVD to MP4, MOV, M4V, AVI, WMV, FLV, iPhone 7/6S/6, iPad Pro, Samsung Galaxy S7/S7 Edge/S6 and many more.